Baby's breath is simple and romantic, perfect for accompanying your shower details printed on the mason jar design. 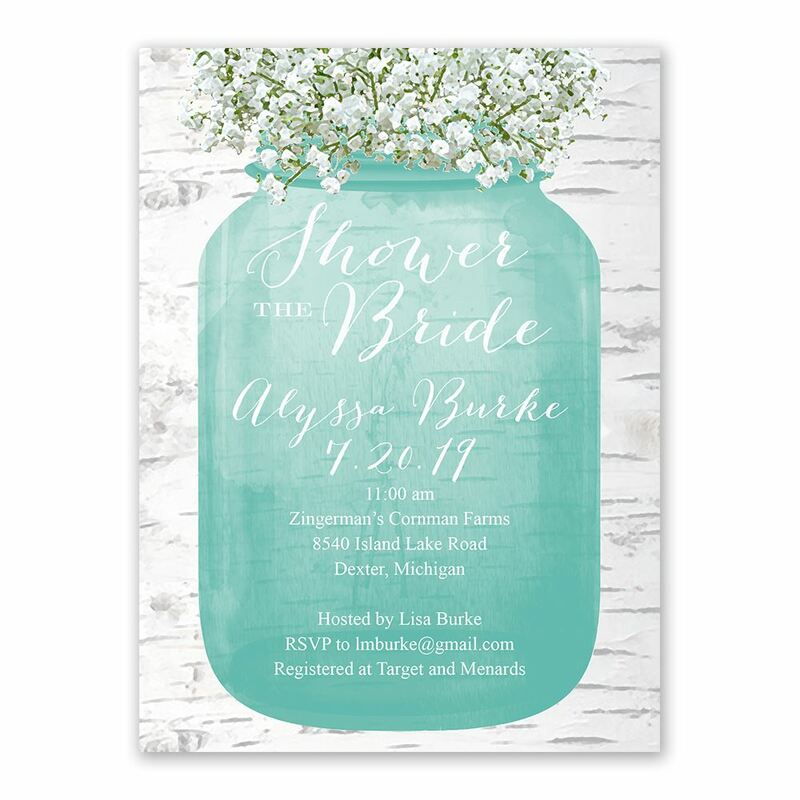 A birch wood background offers a rustic finish to these bridal shower invitations. Personalization Options: "Shower the Bride is printed as shown in your choice of color. Canning jar and your wording are printed in your choice of colors and fonts.